Comments: Broadleaf deciduous tree native to China. 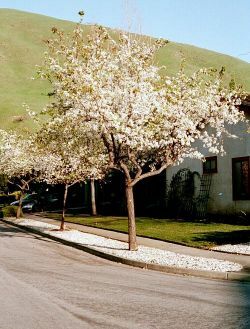 Showy white flowers in spring, light green ovate leaves and gray furrowed bark. Usually low growing but can be 60' tall when mature. Brought to California as an ornimental.